Creating Vibrant Communities is one of the many themes running throughout this quarter's Housing Scotland which includes an interesting art project from Almond Housing Association to brighten up some of their tenants areas. This edition of our quarterly magazine has been launched and print versions have been sent to all of our members and associates. 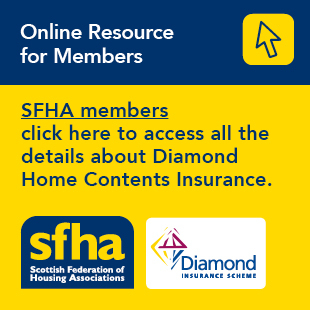 Housing Scotland has changed frequency and format after surveys and feedback from our members. Continuing on from our first edition we have a variety of indepth and insightful features on the housing sector and our members.